W6/CT-246, Mount Lewis is another of the recently added peaks in the W6 region and makes a great add-on when activating peaks along the Angeles Crest Highway. My son and I combined it with W6/CT-012, Waterman Mountain and W6/CT-014, Kratka Ridge for a SOTA Saturday. Mt. 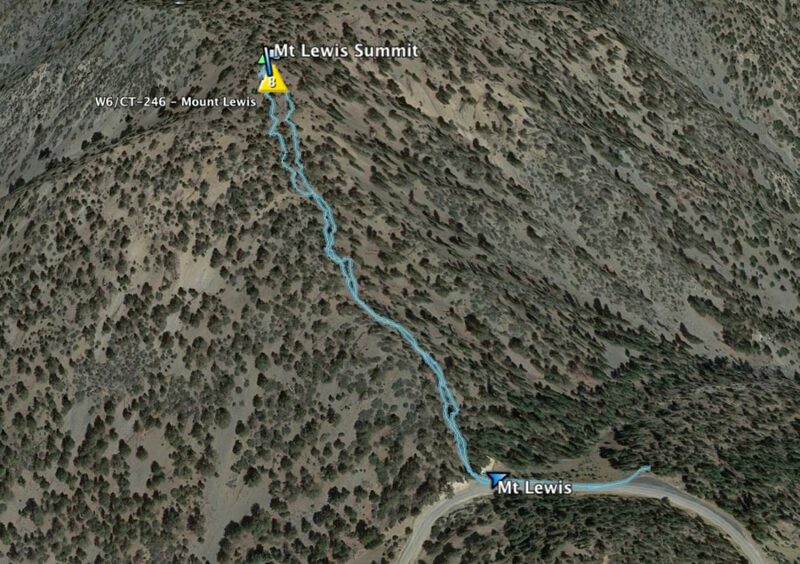 Lewis is a short and relatively steep up and back hike along a small use trail. No switchbacks, just straight up the side of a ridge. 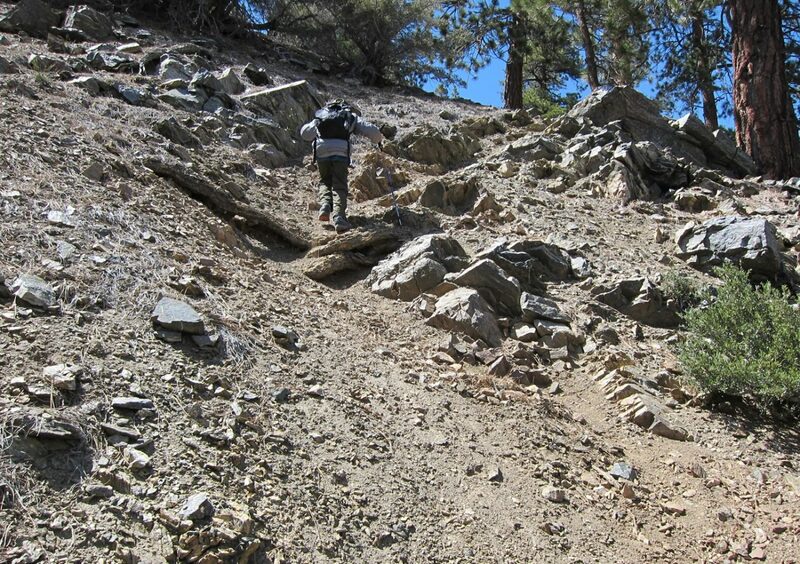 As long as you comfortable hiking this sort of terrain it should be no problem. While steep, the good news is it is less than a half mile to the summit. The trailhead is located next to the turnout for Dawson Saddle. Make sure to display your National Forest Adventure Pass when you park. Once out and ready to go look for the maintenance building. The use trail starts just next to the propane tank. Walk straight at the propane tank and you’ll see the trail traveling up behind it. 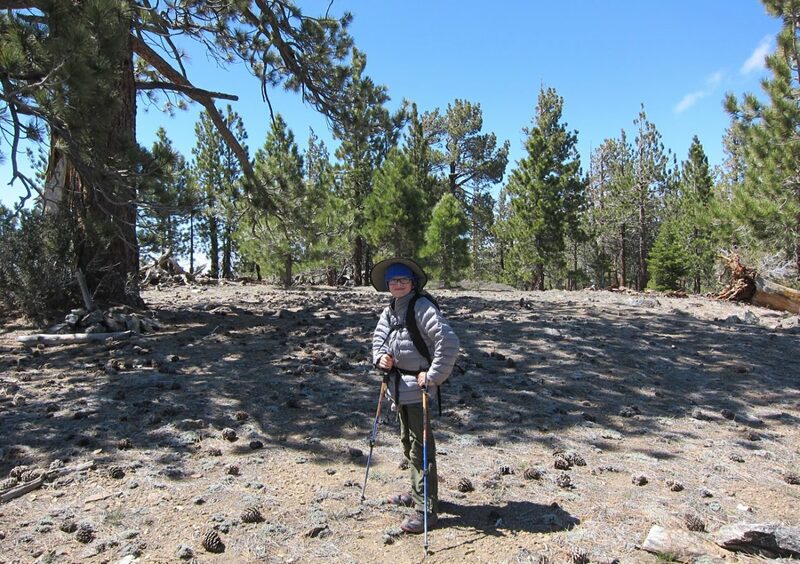 The summit is a short 20 to 30 minute hike up with a large flat open area at the summit. There are a myriad of options for mounting an antenna whether you use a pole or just a random wire in a tree. We set up both our roll up j-pole for 2-meters and the Trail Friendly end fed wire antenna for HF work using a 20’ pole. We used APRS2SOTA to self spot on Mt. Lewis. I had no AT&T coverage at the top, but in all fairness I did not try that hard to see if I could get it having planned on using APRS all along. I did notice that my phone started buzzing with email about 100 yards down the trail once we left the summit so in a pinch my guess is you could find a window for AT&T to use SOTA Goat etc. For 2-meter only activators, the challenge with Mt. 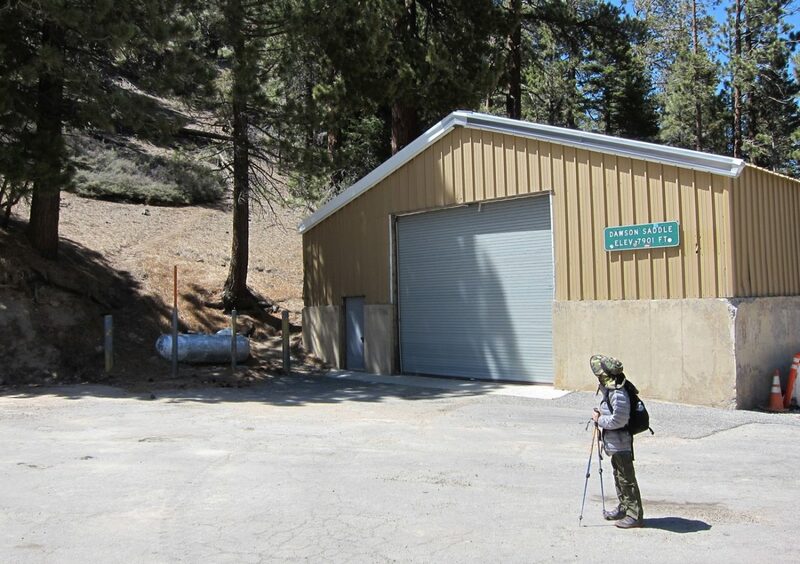 Lewis is that it is on the North side of Angeles Crest and while it can be activated using 2-meters you should come prepared. Due to its location, your coverage will be spotty at best for most of the frequent chasers in the Los Angeles, Orange County and Inland Empire areas. Charles KM6CEM, one of the most dedicated chasers in the area was able to establish contact with us only after switching to a Yagi style antenna mounted on a pole he quickly set up in his backyard. Charles certainly went the extra mile to log this one! We were fortunate and logged four contacts on 2-meters: Charles and a group of 4×4 enthusiasts who were camping for the weekend. I did hear a few other people calling but it seems they could not hear me. Perhaps they were just calling off the spot. If I were to rely on 2-meters only I’d come prepared with info on high desert repeaters in case I needed to recruit an extra contact or two to QSY over to simplex to fill out my four. After our 2-meter work we ran through 20 and 40 meters picking up another seven contacts. Will N6WMG and I spent a bit of time wandering around the summit area taking in the views then finally packed up and headed home for the day. I have always enjoyed the videos you put together. They are very helpful when planning an activation.